The book contains enhanced Bare Act of the Companies Act, 2013 with latest amendments brought by the Companies (Amendment) Act, 2017 (1 of 2018). 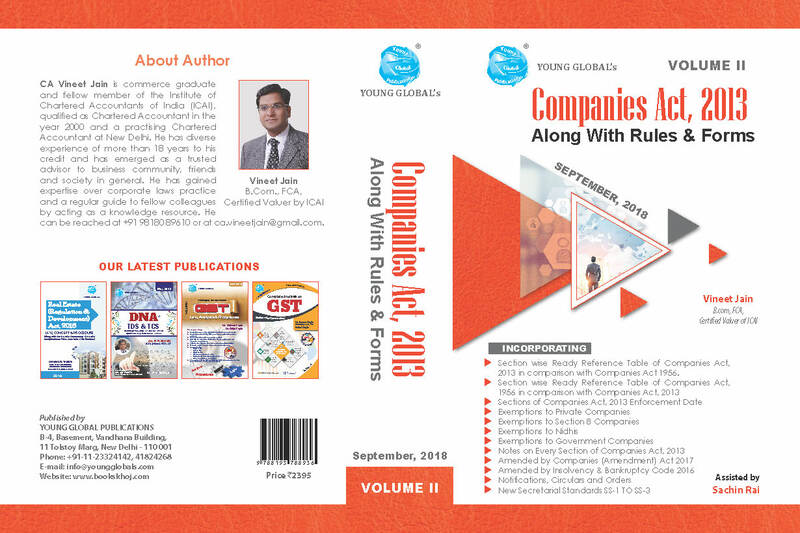 It includes handy compilation of latest Rules, Regulations, Orders, Notifications, Circulars and Clarifications related to Companies Act, 2013. This book will be a valuable guide to readers and users as all relevant materials necessary for reference are given in one place.